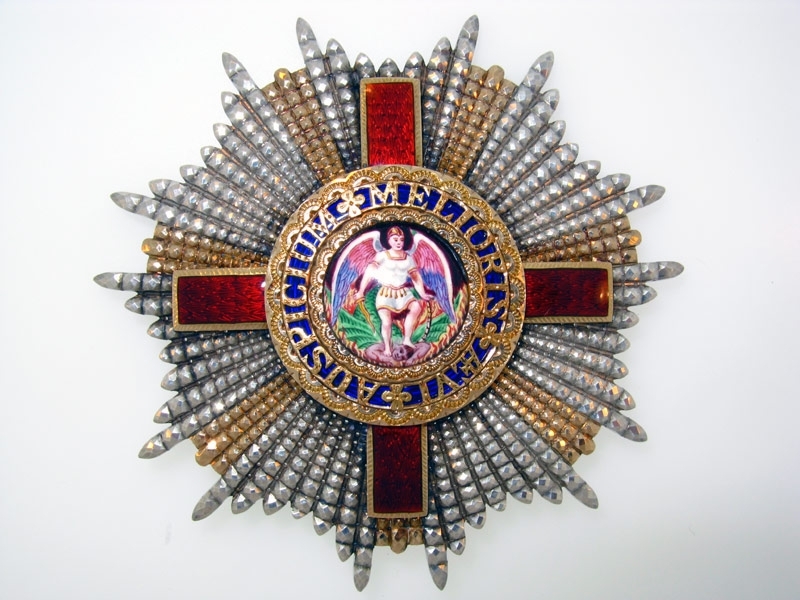 St. George (G.C.M.G.) 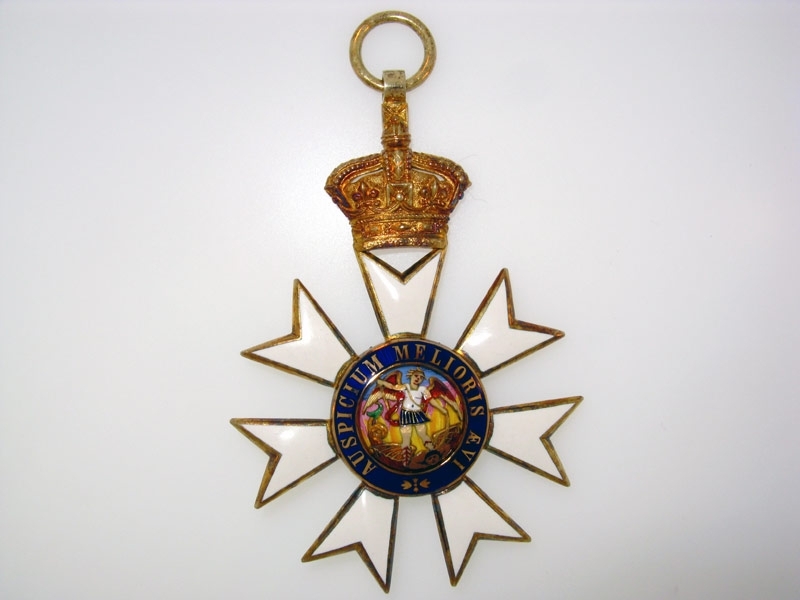 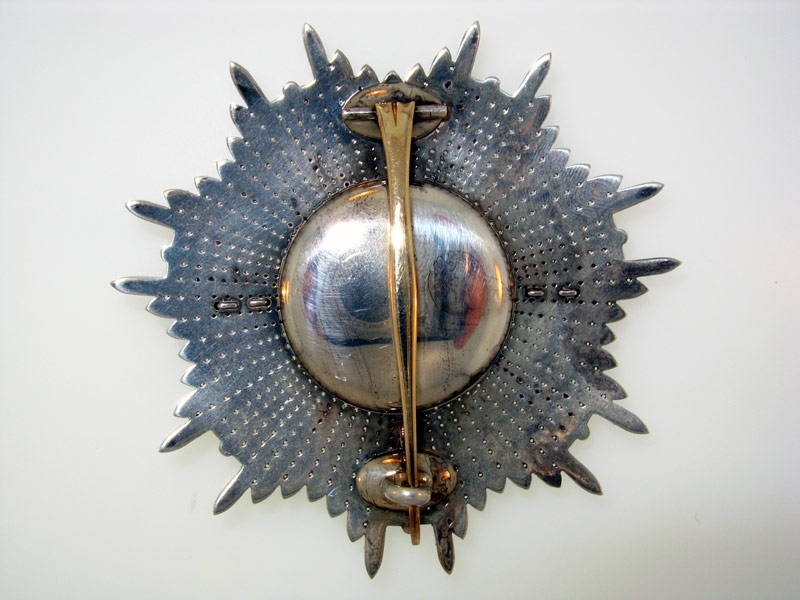 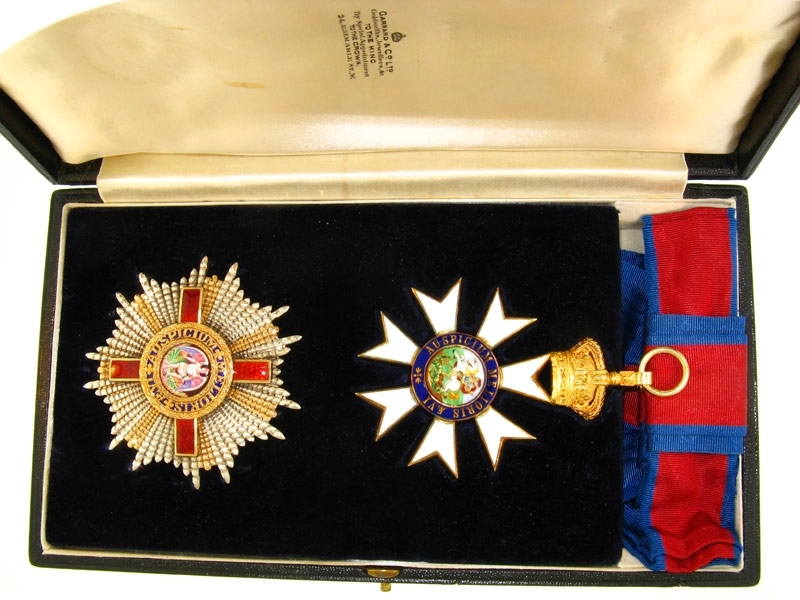 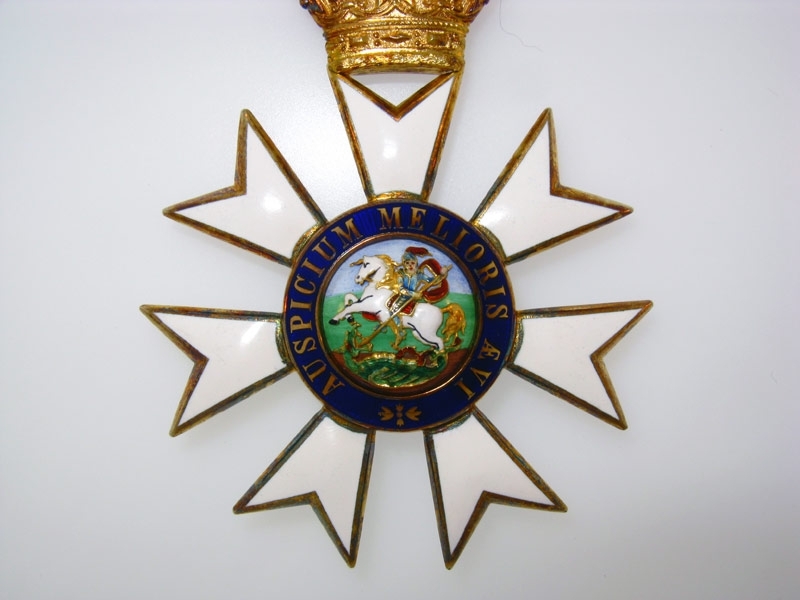 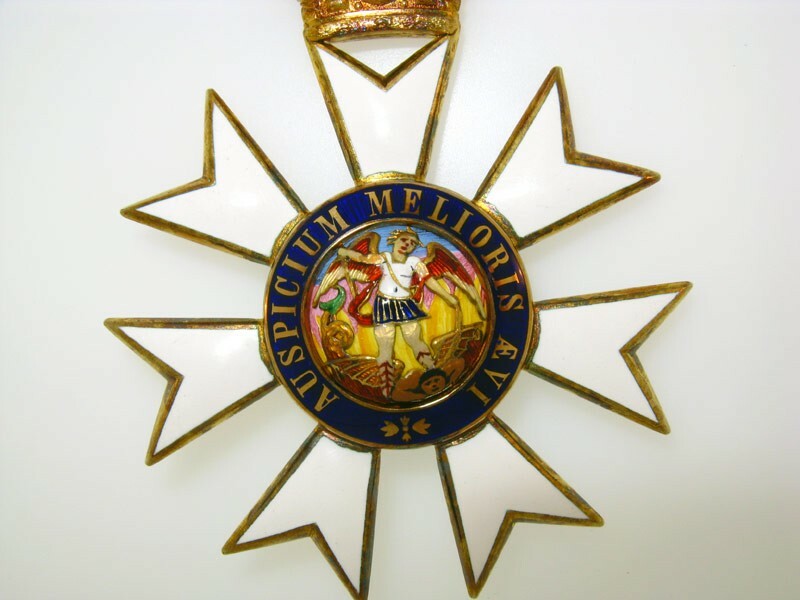 Knights Grand Cross set of insignia comprising sash Badge and the Star: Badge, in silver gilt and enamels, 72x107mm, with full length of fine quality sash ribbon, extremely fine; Star, in silver, center appliqu? in Gold and enamels, unmarked, with gold pin, 87mm, very fine portrait of St. Michael, extremely fine. 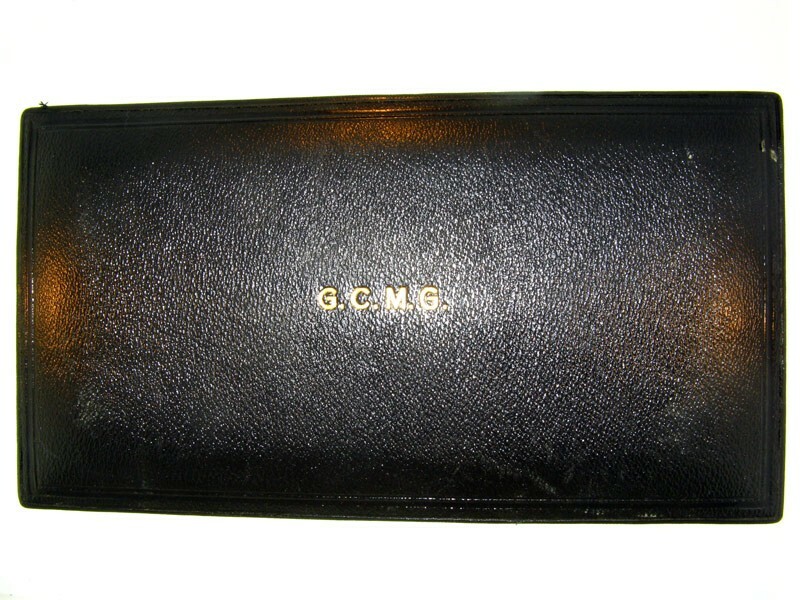 Set of very fine quality manufacture, contained within fitted "Garrard & Co.", London, case of issue.